IHG® Rewards Club - Películas - K-9: P.I. 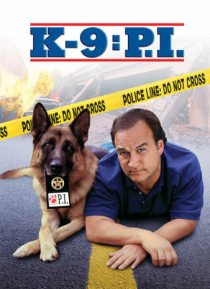 James Belushi stars as Thomas Dooley, an unorthodox narcotics cop who teams with an independently minded police dog in this hilarious action-comedy. Headstrong Dooley is one step away from nailing a prominent socialite in a $50 million cocaine bust. He's branded as too crazy to partner with, and no one will work with him except Jerry Lee, a superbly trained German shepherd police dog with the best… nose in the drug-busting business. The unconventional pairing pleases neither partner, but after a series of shootouts, stakeouts, brawls and romantic misadventures, they develop a grudging respect for each other. It's a heartwarming, fast-footed adventure about an unlikely and unbeatable police team that will have you rooting for man's best friend.